Visual quality, cosmetic appearance and wearing comfort, i.e. weight, must all be taken into account in the design of single vision lenses. 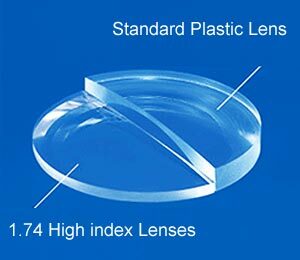 Nowadays, higher refractive indices for both plastic and glass lenses together with advanced aspheric/atoroidal surface designs make it possible to produce flat, light lenses which provide even patients requiring high prescriptions with outstanding visual and wearing comfort. At Zacks London Eye Clinic we supply incredibly thin and flat lenses that no longer ‘bulge’ from frames so that the choice of frames is not restricted by the strength of your prescription. We routinely scan patients’ frames to provide lens thickness calculations from different suppliers and our lens menu includes premium and budget designs to suit all pockets. Essilor has one of the most extensive catalogues with a wide range of stock and specially surfaced lenses in several materials to fit any budget and most spectacle prescriptions. Essilor lenses are available uncoated and with a variety of lens coatings including transitions. Nikon’s new Bi-Aspheric ‘Seemax’ and ‘SeeStyle’ range of lenses are custom made to reduce aberrations and distortions that increase with high prescriptions providing excellent performance across the entire surface of the lens. The SeeStyle lenses can be made in extremely high curvatures which are excellent for wrap around sunglasses. Recently the range has increased to offer the ultra high index materials with transitions. Provide natural and comfortable vision with accurate image perception. Clearer than conventional plastic lenses due to minimal surface reflections. 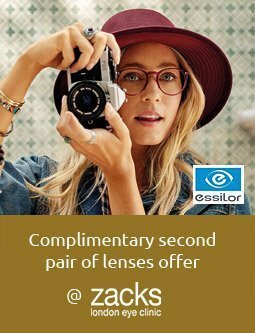 At Zacks London Eye Clinic , London W1, we also use several other lens manufacturers such as: Zeiss, Hoya and Seiko so that we can find the perfect lens for your requirements. 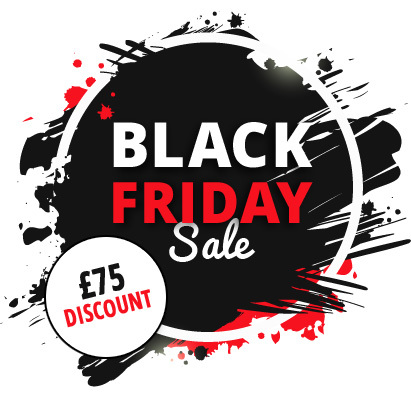 Our highly qualified and experienced dispensing opticians can provide detailed unbiased advice on the best single vision spectacle lenses to suit your prescription without obligation or pressure.